Having a presence on many different social media channels is important, and while you might not want to add any more to the mix you’re already working on (which hopefully already includes the likes of Facebook, Twitter, Instagram, and perhaps a few others), but there’s probably another one or two that you should consider – and Pinterest is one of them. 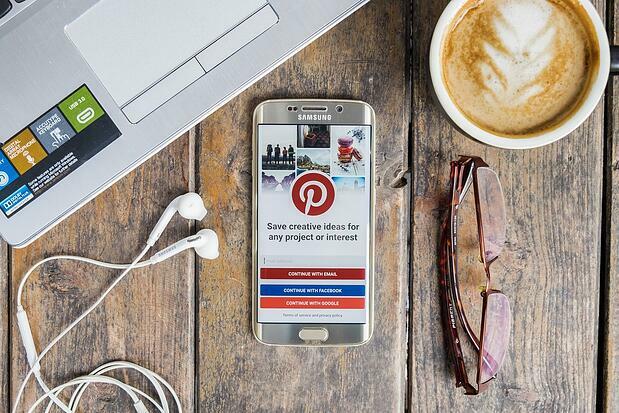 Why should you be on Pinterest? Glad you asked. Let’s be real here – Pinterest isn’t hard. There are some social media platforms that can be a bit tougher to figure out than others, and some require a good amount of effort. Pinterest isn’t one of those. It’s easy to do, and it's popular. Don’t overthink it! Sharing almost everything on Pinterest is easy, whether it’s a photo of your band, pics of your latest show, a new music video, or anything else that’s already on the platform that catches your eye and that you want to share with your followers. It takes minimal effort, it’s quick, it’s impactful, and it’s just so easy. While it's necessary to listen to your intuition and be yourself, you should also tap into what your fans (and the masses in general) are doing, and in what interests them. I’m not saying you should just follow trends, but you also shouldn’t ignore all of that! There’s a balance to be found. Pinterest is huge. The site reportedly has around 100 million members, and while it might have slowed down in terms of growth, that doesn’t mean it won’t still be around for a while. You likely have a good number of fans that are active on the site, so you should seriously consider investing at least a little bit of time in making sure they can find you there as well. Because Pinterest is all about photos, it's a great tool to help you train how your mind works and how you see things. Its storyboard nature helps you learn to tell a story through visual means, and that can be very helpful as an artist of any kind. Sure, you’re making music, but you need to have great pictures and artwork quite a bit as a musician, including pictures of your band, you album cover, music videos, and even the look of your other social channels. Sharing images has become a lot more effective and easy on sites like Facebook, Instagram (of course), and Twitter, and the better you are at identifying those that are eye-catching and that others want to share and be a part of, the better your social efforts will go all around. Depending on what your band name is, having an active and even minimally popular page on Pinterest can help you out a lot when it comes to search engine optimization. If people look you up on Google, what will they find? Hopefully the first options are you and your music, and if they’re not, you need to learn a whole lot about SEO. Even if you are returned link number one, you want to control that entire first page (and then some), and one of the best ways to do so is to be everywhere, quite simply. Have Facebook, Twitter, Instagram, a website, your music up on YouTube, Spotify, iTunes, and the like, and then also make sure that somewhere on there are other platforms, like Pinterest. It shouldn’t be number one, but every little bit helps. Pinterest has a different look and feel to it than Twitter or Facebook, since it isn’t all about what’s happening right now or the latest, greatest thing. Looking at a Pinterest page gives you a sense of who someone is, and those who use the site often know you can understand a person even better by scrolling through everything they’ve posted. Basically, unlike other platforms, effort on Pinterest lasts longer and may have more of an effect, as people have a tendency to spend some real time on your page. This means that when somebody new discovers your profile, they probably won’t just glance at the most recent post, but also your older singles, videos, and the like. That’s a great way to get more out of all of your content!